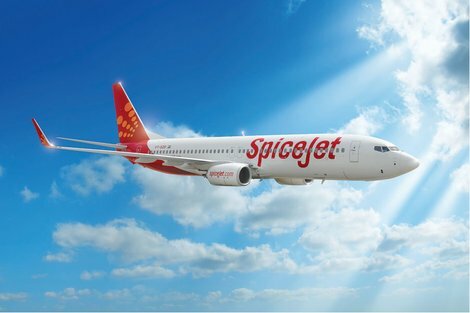 Indian budget carrier SpiceJet has announced two new routes to the Dubai from Jaipur and Hyderabad, bringing the number of Indian cities connected with the emirate by SpiceJet on a daily basis to ten. A Boeing 737-800 aircraft will operate from February 16, 2016 onwards. SpiceJet offers an introductory rate at Dh359/Rs6,499 (all-inclusive/one-way) between Dubai and Jaipur and will be the first private airline to operate a direct flight on the Jaipur-Dubai route. The early morning flights between Hyderabad and Dubai aim to offer convenience to business travellers looking to travel from the Indian IT hub, and start at Dh433/Rs7,999 (all-inclusive/one-way). “Dubai is a key market in increasing our footprint across the Middle East and with these flight launches, we aim to provide our customers with better and more convenient travel options,” says Shilpa Bhatia, Senior Vice-President (Commercial), SpiceJet in a statement. The routes are a result of the growing demand from non-metro cities such as Jaipur and Hyderabad to the emirate by both corporate and leisure travellers.